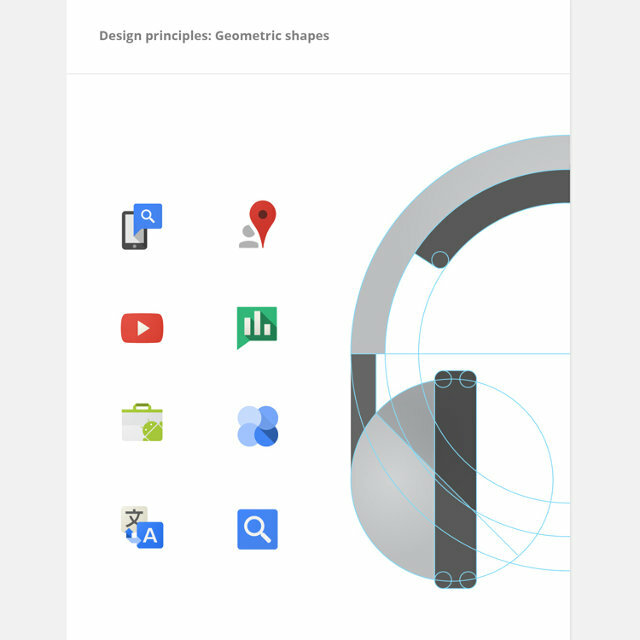 Fast Company Design published today some insights into Google's visual asset guidelines. "The rare glimpse into the company’s design process comes in the form of two documents--'Visual Assets guidelines'--freshly shared on Behance. Compiled over the last 18 months by senior graphic designer Roger Oddone and art director Christopher Bettig, along with designers Alex Griendling, Jefferson Cheng, Yan Yan, and Zachary Gibson, the guidelines focus on iconography, covering both broader principles and pixel-level details as they relate to both app icons and UI elements. The aim, an introductory blurb notes, is to set down the 'solid, yet flexible, set of guidelines that have been helping Google’s designers and vendors to produce high-quality work that helps strengthen Google’s identity.'"